The ongoing conflict in Yemen is taking a heavy toll on the country’s most vulnerable people: its children and babies, writes Dr Nikola Morton, paediatrician and Médecins Sans Frontières (MSF) Medical Advisor. I recently visited MSF's hospitals in Khamir and Haydan, in northern Yemen, where too many babies are dying within their first weeks of life because they are unable to access the healthcare they need. Our neonatal unit in Khamir has one of the highest neonatal mortality rates across MSF because of the worsening health situation and the lack of referral options. 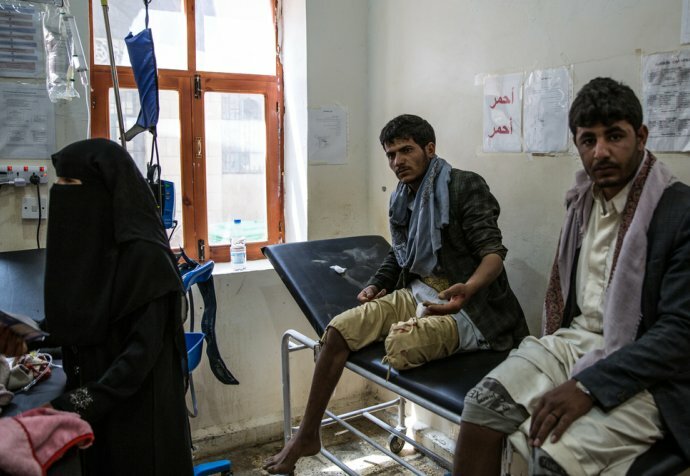 The three-year conflict in Yemen is having a devastating impact on access to healthcare. The conflict has had severe financial implications for families, with high unemployment, so people can’t afford to travel to hospitals. Many roads and bridges have been destroyed by airstrikes, while fuel is often unavailable or very expensive for various reasons such as the blockade and tax and trading changes. Ministry of Health employees haven’t received their salary for two years. 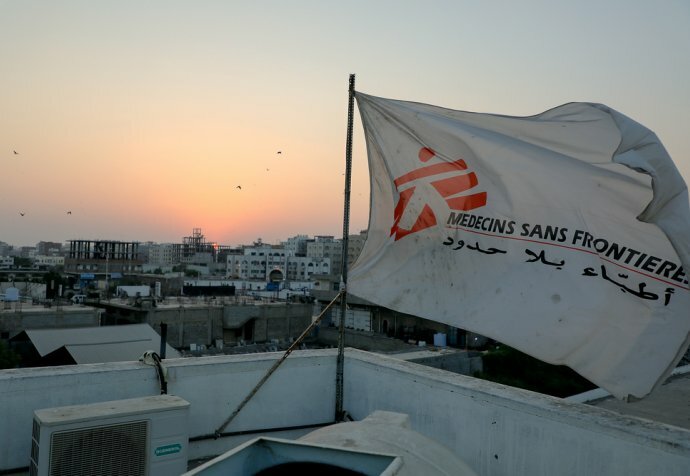 Many healthcare facilities have been bombed, including MSF facilities, or no longer have medical supplies. As a result, many health facilities across Yemen are now non-operational. Due to these barriers, more women are delivering their babies at home. If babies are born sick, it takes women some time to reach the hospital. In Khamir our teams see many newborns coming in late, struggling due to birth asphyxia (lack of oxygen at birth) and neonatal sepsis (bacterial infection) because of home deliveries that haven’t been supported with a skilled birth attendant. Tragically, babies who suffer from severe birth asphyxia risk lifelong disability. Even if babies do make it to our hospital, if they are particularly unwell or premature there are no health facilities nearby where we can refer them to receive the intensive care that they need. At Khamir Hospital I was surprised to learn that the number of admissions decreased significantly in 2017 compared with 2016. This might seem strange, but a large part of it is that patients just can’t get to the hospital. The story of baby Aysha, a patient who I met at Khamir, really speaks to these challenges. Aysha was born at home in a remote village in northern Yemen. When she became unwell the night after she was born, her grandmother set out on foot to get help, as the family could not afford a taxi. She walked to the nearby health centre and then to the local hospital, but staff at both clinics told her they didn’t have the resources to treat the baby. So, she kept walking. Six hours later, the grandmother reached the MSF hospital, exhausted and with blisters on her feet. Aysha was admitted to the newborn unit and commenced treatment for omphalitis (infection of the umbilical cord), which is life-threatening if not treated. She was given intravenous antibiotics and fluids, and slowly began to improve. When she was able to be discharged, her grandmother couldn’t hide her happiness, saying she would walk the six hours again as now her granddaughter has a chance to live. While Aysha was eventually able to receive the care she needed, we know there are people in the villages who can’t get to us because they can’t afford the transport. To help reach these people MSF is also aiming to provide more outreach care in addition to hospital-based care. Food is also considerably more expensive since the onset of the conflict and we are seeing more cases of malnutrition in our hospitals. MSF provides an inpatient malnutrition program at both Khamir and Haydan, where we treat children who are severely malnourished and suffering from medical complications such as diarrhoea or pneumonia. We also see many infants under six months old with malnutrition as their mothers are having problems with breastfeeding. Our teams are delivering nutritional support together with health education to try to improve outcomes. Both hospitals are also linked to vaccination programs. The collapse of the health system after years of conflict has meant that people haven’t been able to access routine immunisations for their children. As a result Yemen has seen outbreaks of vaccine-preventable diseases such as diphtheria that have affected hundreds of children. The conflict has also led to the breakdown in water and sanitation services, which was a direct factor in the huge cholera outbreak that saw tens of thousands of children seeking care at our clinics. It was my second time in Yemen. There’s something about the Yemeni people who I have met: despite the difficult situation they are in, many have such resilience while maintaining their empathy. Despite their circumstances, including the staff not being paid salaries by the Ministry of Health, they come to work, they care for patients and really want to do the best by their people. Their commitment now needs to be matched by increased humanitarian support reaching people on the ground, to ensure that the children of Yemen are able to receive the healthcare they need.